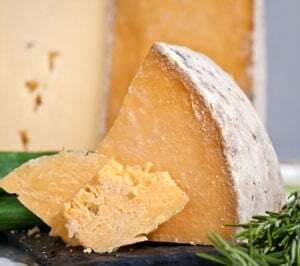 Cheese aficionados are no doubt familiar with Cypress Grove's Humboldt Fog, which is famed in the San Francisco Bay area and beyond. Thankfully, they've done it again, to paraphrase Britney; but it's a classic Jimi Hendrix song, not one of hers, that inspired the name of another unique cheese from the renowned northern California cheesemaker. The name refers to the appearance of this 3-inch round chevre disk which contains flakes of lavender buds and wild harvested fennel pollen in the goat's milk cheese. Believe it or not, there was a time goat cheese wasn't popular in the United States. Just twenty-five years ago, all the goat cheese sold in the United States was imported from Europe. Then, a few enterprising Americans — mostly women and mostly in northern California— began raising goats and making small batches of goat cheese in their kitchens. Mary Keenh, founder and owner of Cypress Grove Creamery, was one. In the 1970s she began raising Alpine goats because she wanted a source of healthy milk for her children. Happily for us, she had a natural talent for raising goats. By selectively breeding her goats, Mary began winning numerous awards and soon gained fame as America's premier breeder of Alpine dairy goats. As her goats continued to thrive, she was faced with an unanticipated consequence—lots and lots of surplus milk from fifty goats! So she began dabbling in cheesemaking—creating unique and delicious recipes. It soon became clear that, in addition to selective goat breeding, she had a natural flair for cheesemaking. So in 1983, with the help of family and friends, Mary made the move from kitchen hobbyist to cheesemaking entrepreneur by founding Cypress Grove. From the get-go, quality was paramount to Mary. Her goal was to make the highest quality, tastiest, artisanal cheeses – which is not to say they were quickly accepted by Americans. At the time, too many of us consumed bland, sliced "cheeses" wrapped in plastic. Those who were open to goat cheese had become accustomed to the strong, tangy chevre cheeses of France. Fortunately, people—and palates—can be educated. It took quite a few years, but eventually consumers developed an appreciation for the smooth, delicate flavors of Cypress Grove cheeses. Patience, hard work, and a commitment to quality paid off, and over time a large, loyal following began to seek out the Cypress Grove label. Today, Cypress Grove is a leader in the domestic goat cheese market. Internationally awarded for excellence, they're renowned for their innovative range of fresh, aged, and ripened cheeses — many invented by Mary. All fresh goat cheese should be kept as cold as possible without freezing (33°–35°F). To open the cheese, simply cut around the edge with kitchen shears and lift off the top and bottom of the package. If you don't consume all of it upon first opening, wrap the leftovers tightly in plastic wrap and place in the coldest part of your refrigerator. 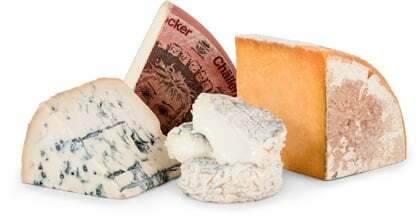 As with most artisan cheeses, bring the portion you plan to serve to room temperature to enhance the depth of flavor. This 3-inch round chevre has a sweet, flowery (but not overwhelming) flavor and a soft, creamy texture. Enjoy it with crackers, ripe figs, and a red Zinfandel or with slices of kalamata olive bread and a glass of your favorite light red.